GIS and remote sensing: processing of spatial data, land-use/land-cover analysis, analysis of spectral indices (NDVI). Hydrological modeling: Implementation of Rhessys model (Regional Hidro-Ecological Simulation System), calibration and validation analysis. ≈ Vicente-Serrano, S.M., Camarero, J.J., Zabalza, J., Sangüesa-Barreda, G., López-Moreno, J.I., Tague, C.L. (2015). Evapotranspiration deficit controls net primary production and growth of silver fir: Implications for Circum-Mediterranean forests under forecasted warmer and drier conditions. Agricultural and Forest Meteorology, 206, pp. 45-54. ≈ López-Moreno, J.I., El-Kenawy, A., Revuelto, J., Zabalza, J., Vicente-Serrano, S.M. (2014). Observed trends and future projections for winter warm events in the Ebro basin, northeast Iberian Peninsula. International Journal of Climatology. ≈ Vicente-Serrano, S.M., López-Moreno, J.I., El Kenawy, A., Azorin-Molina, C., Morán-Tejeda, E., Pasho, E., Zabalza, J., Beguería, S., Angulo-Martínez M. (2011) “The NAO impacto on droughts in the Mediterranean Region”, In Vicente-Serrano, S.M., Trigo, R. y García-Herrera, R., Hydrological, socioeconomic and ecological impacts of the North Atlantic Oscillation in the Mediterranean region. Advances in Global Research (AGLO) series. Springer-Verlag. 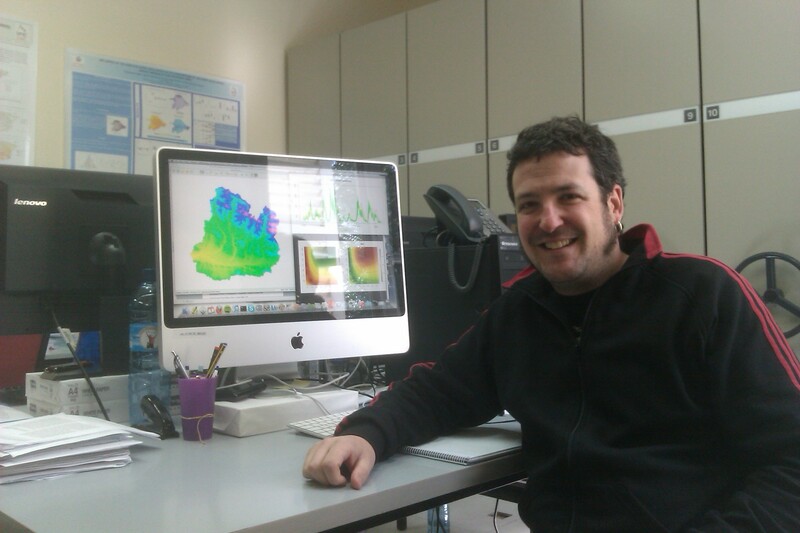 ≈ López-Moreno, J.I., Vicente-Serrano, S.M., Morán-Tejeda, E., Lorenzo-Lacruz, J., Zabalza, J., El Kenawy, A., Beniston, M. (2011): Influence of Winter North Atlantic Oscillation Index (NAO) on climate and snow accumulation in the Mediterranean mountains. In Vicente-Serrano, S.M. & Trigo, R. (eds. ): Hydrological, socioeconomic and ecological impacts of the North Atlantic Oscillation in the Mediterranean Region, Advances in Global Change Research 46, Springer, 73-90.